Invited for a preview of the festival, I met Executive Chef Yoginder Pal who is the architect behind this idea. Chef Pal narrated that the festival was conceived essentially to showcase the delicate dishes which can only be prepared through cooking them over a period of time. Many of the feasts during festivals and celebrations in rural areas are prepared in this manner to retain the original flavour of the ingredients. In the open place behind the restaurant was a makeshift cooking area set up specifically for the festival. 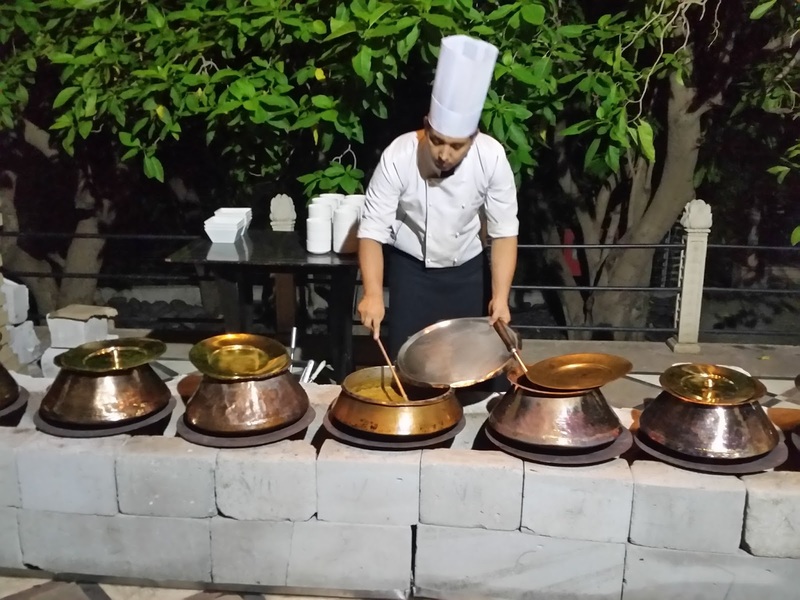 On one side deghs of various sizes and shapes were lined up to cook exquisite dishes on wood fire – the other side had a stone on which the delicious Hyderabadi Patthar Ka Gosht was soaking in the heat. The dinner started with Yakhni Shorba – a slow cooked lamb soup. The soup was light and had a smokey flavour with a strong aroma of lamb and a slight hint of saunf. Some soft sheermals coated with ghee were served with it, which dunked in the soup tasted delicious too. Next a platter of starters was served on the table. My immediate attention went to a matka (mud pot) with its top covered with foil. On enquiry I found that this is Matka Kabab, the recipe of which was developed at Bidri while doing experimentations for the festival. Inside the matka was soft chicken mince with select herbs and spices. 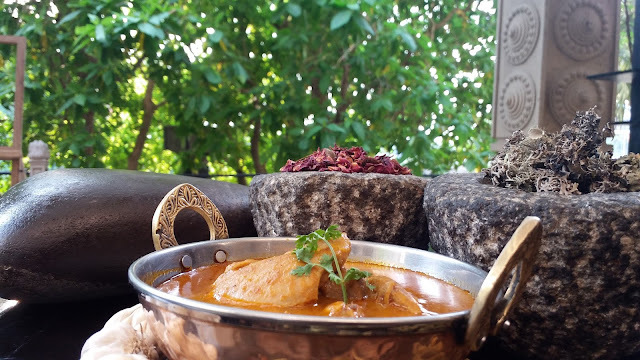 The earthen flavour of the matka had permeated into the chicken giving it a surreal taste. Chef Pal told me that the dish was slow cooked on charcoal. 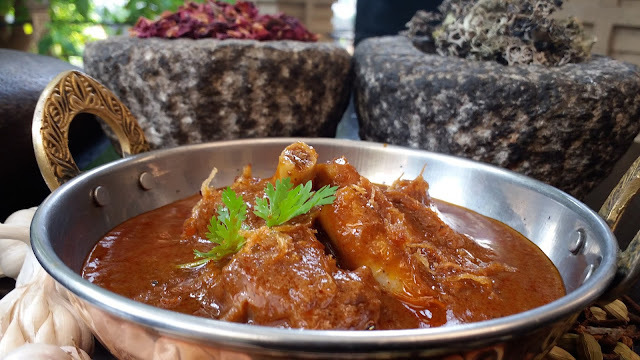 It would also be interesting to see how a mutton based kabab fares on similar treatment, as the earthen flavours combine with the noticeable taste of mutton. 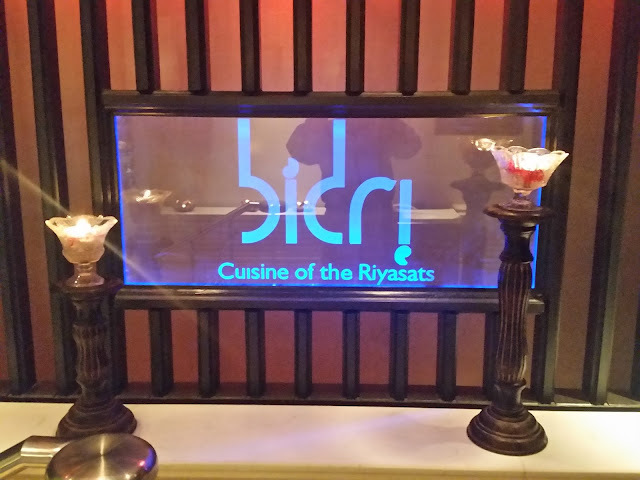 Bhatti Ki Bateir or marinated quail over char grill was another dish to look forward too. The quail had taken in the yoghurt and garam masala based marinade well and it was cooked to perfection – crispy outside and moist inside. 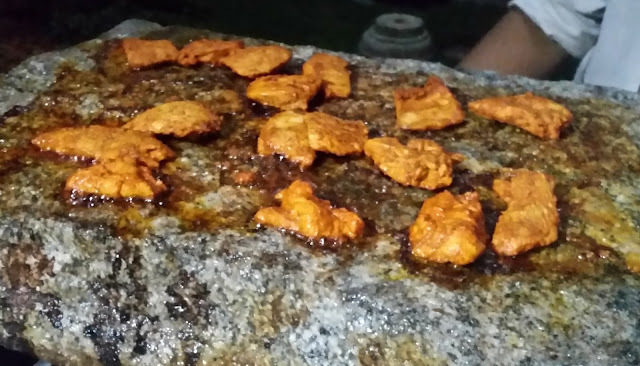 There was also Bhatti ka Paneer Tikka where succulent paneer cubes were filled with masala and cooked in the tandoor. Both the paneer and the marinade were to my liking. The Hyderabad delicacy Pathar Ka Gosht was also on the menu. 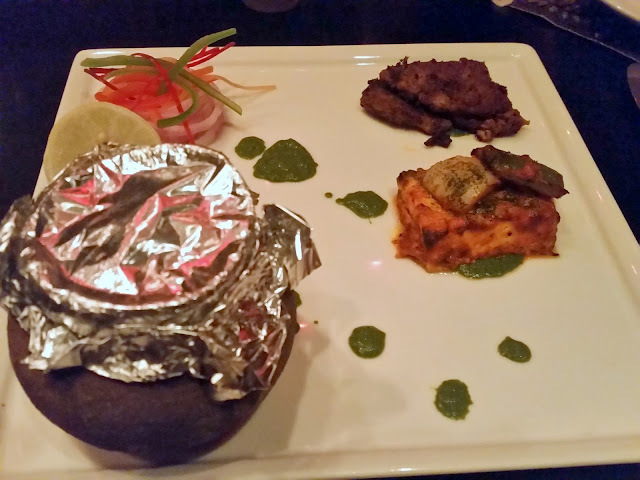 While the masala tasted optimum, the mutton had become a bit too dry for my liking. The Jal Jeera which was rustled up on my request deserves a mention too – it was not on the menu, but was very well prepared. The main courses were served with an assortment of Indian breads – Khameeri Roti, Kulcha and Naan. The Bidri Dal was finger licking good as usual with the perfect balance between kaali dal and cream. 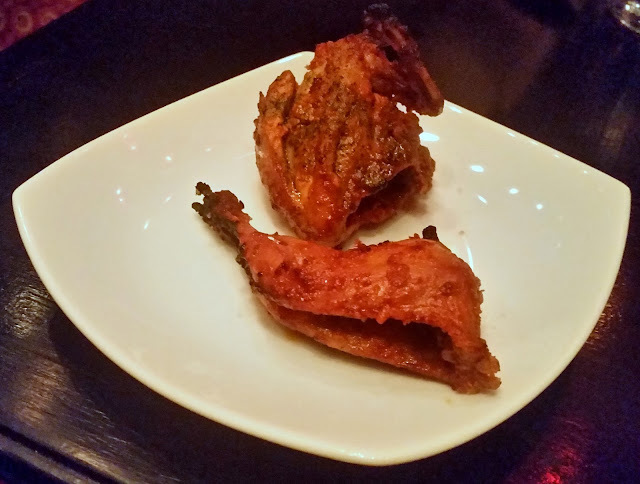 My attention however was focused on Murgh aur Arbi ka Salan – chicken cooked with colocasia. Chef Pal told me that colocasia is one of the popular vegetables in his native Himachal Pradesh, and it is used widely in veg and non veg preparations. I am personally a fan of arbi, and slow cooking had really infused taste into the vegetable. I found the concept good and made a mental note to try out arbi in my native Bengali chicken curry when I prepare it next. The Dum ka Nalli, again a Hyderabadi delicacy had perfectly cooked lamb pieces in quite a spicy gravy. The onion based gravy was dark and smooth, and Khameeri Roti was a perfect thing to try it out with. The final serving in the main course was the simplest of all – Aloo aur Tamatar ki Tahiri. I was quite full by this time, but enjoyed this dish of rice with simple masalas and baby potato jackets. Chef Pal said it was soul food and I completely agree. One can only have this with the delicious dahi raita served alongside for a complete meal. Finally it was dessert time and lot of innovation here too. 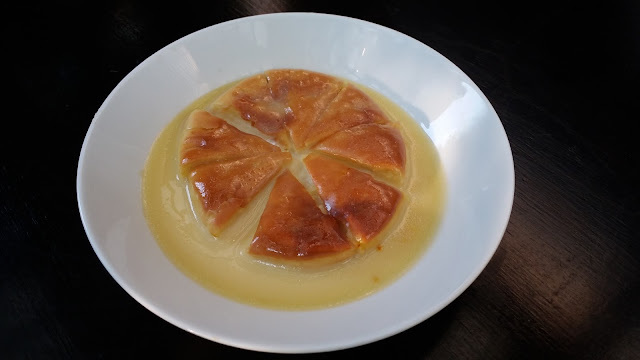 Sheermal Pudding or sheermal on a bed of crème brulee and baked was easily the pick – the bread after absorbing the cream and the caramel was pure bliss. The Matka Kulfi is a common dish – but here it was well prepared with the dry fruits, nuts and the khoya combining well to provide a nice cool flavour. 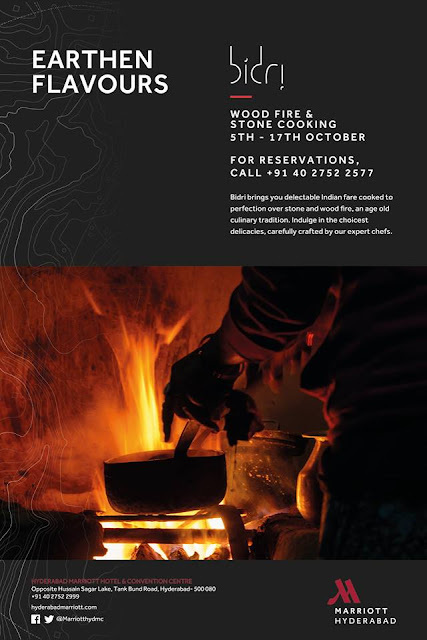 Kudos to the chefs and the management of Bidri for conceiving and organizing a food festival where the dishes are threaded together by the styles of cooking. These are the kinds of culinary journeys food enthusiasts look forward to and I thoroughly enjoyed the food. The festival is on till Sunday 17th October. A meal for two may cost around Rs 3500.